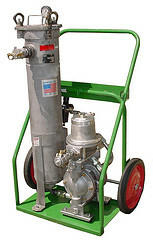 Are you looking to purify and/or separate water from your oil application? Great news! 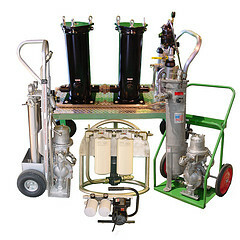 We are now offering a new and improved Coalescer Oil Purification System (COPS). 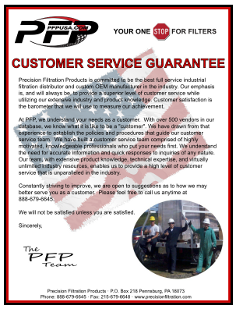 Click the link to check out our official PDF brochure! 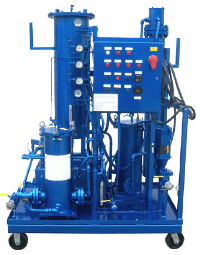 This new oil-water separation unit is designed with high-efficiency coalescing and separating elements that rapidly remove water contamination from ISO 32 turbine oil. It also features pleated microglass filter elements that remove all particulate contamination to achieve ISO cleanliness levels as low as 14/12/11! 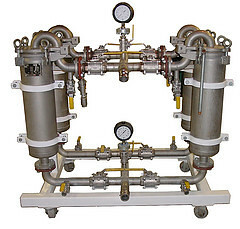 Furthermore, this particular unit can be combined with special filter elements in order to remove varnish and/or acids. This coalescer system comes standard with a NEMA electronic control panel, an automatic water drain, and an automatic shut-down. Optional features include ASME code-stamped vessels, a water totalizer meter, touchscreen controls, and explosion-proof components. Do you have an emergency situation? We also offer our systems as emergency RENTALS! Make sure to contact us today! Our friendly team is standing by ready to help you out.